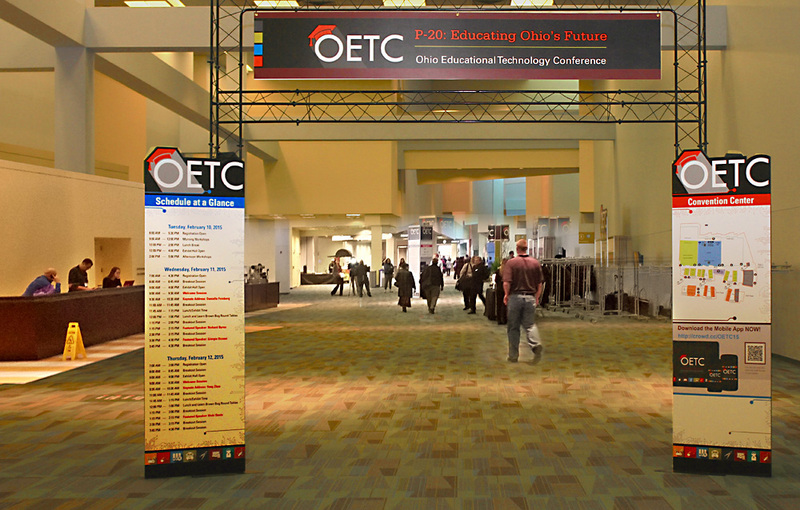 Attracting over 4,000 attendees and 5,500 total participants from around Ohio and across the country, the Ohio Educational Technology Conference is the State of Ohio’s premiere professional development opportunity, providing PK-20 educators with sessions and displays presented by local, national and international educators and leaders, an exhibitor hall of 200+ private industry and non-profit organizations and other opportunities for learning new ideas and practical strategies for improving education through the use of technology. 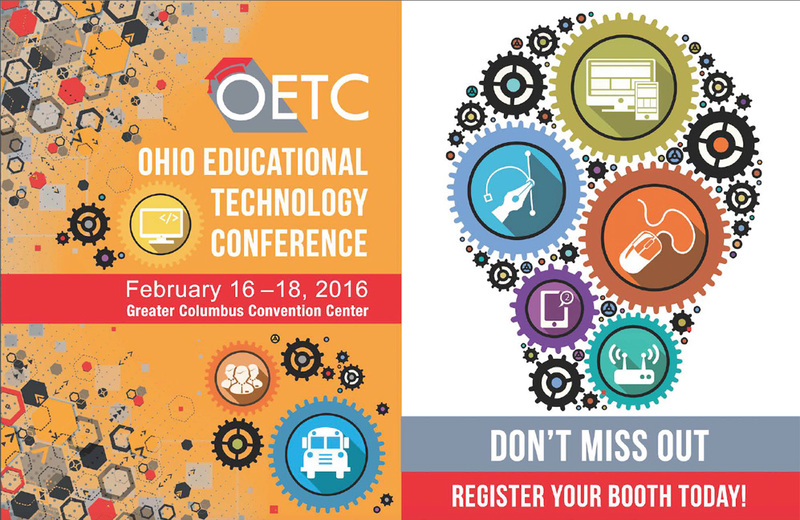 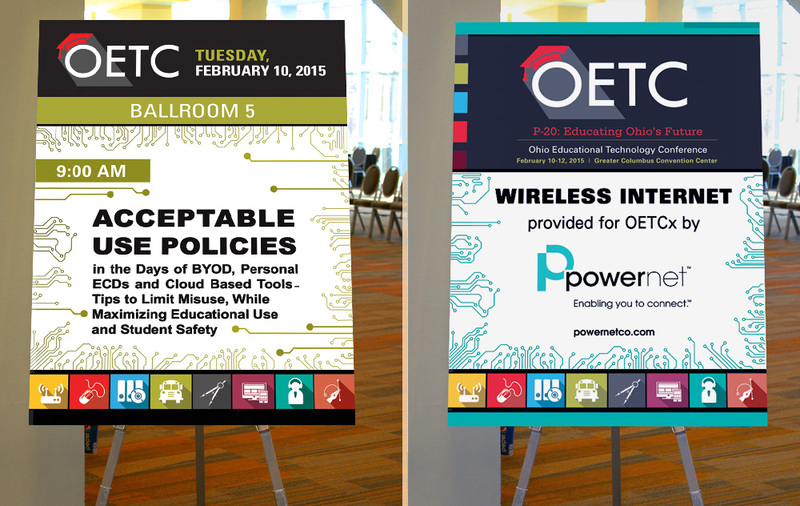 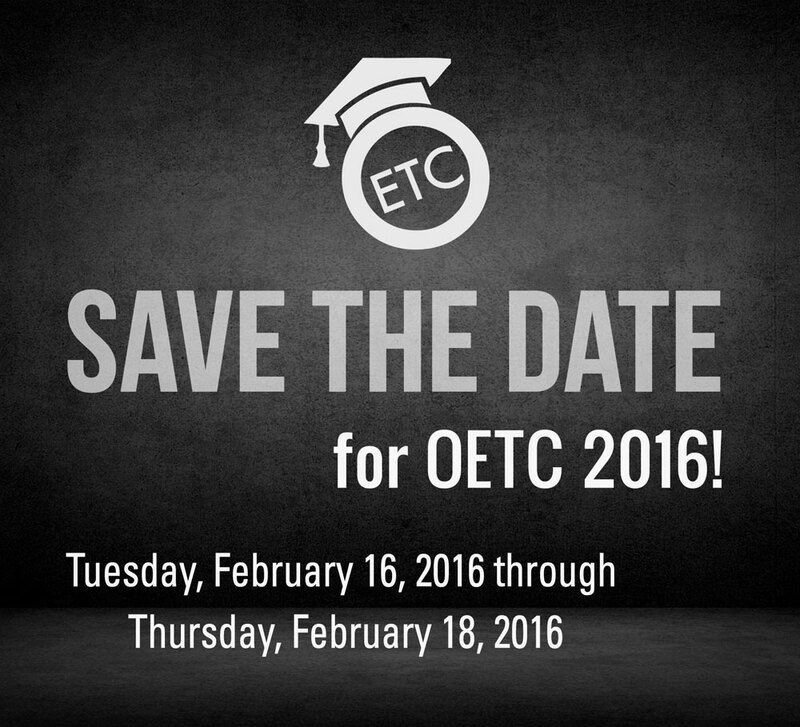 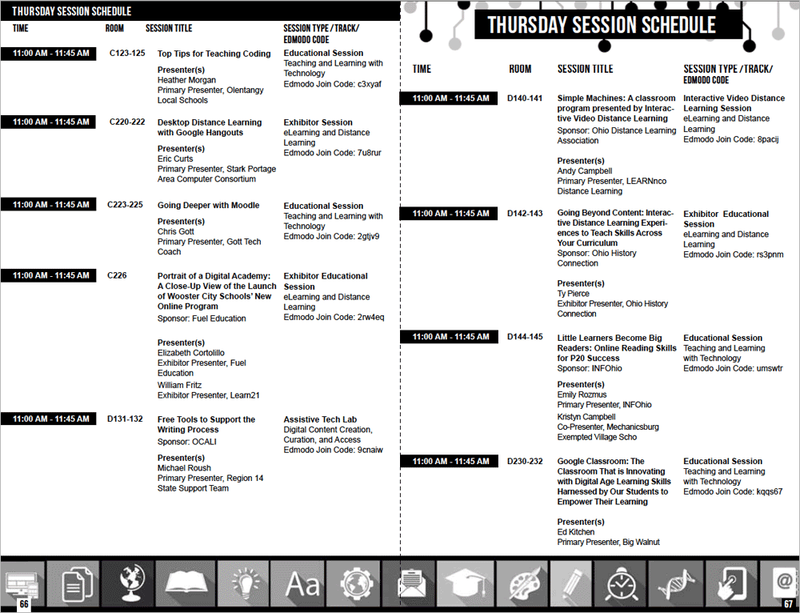 OETC features morning and afternoon workshops presented by some of the best facilitators. 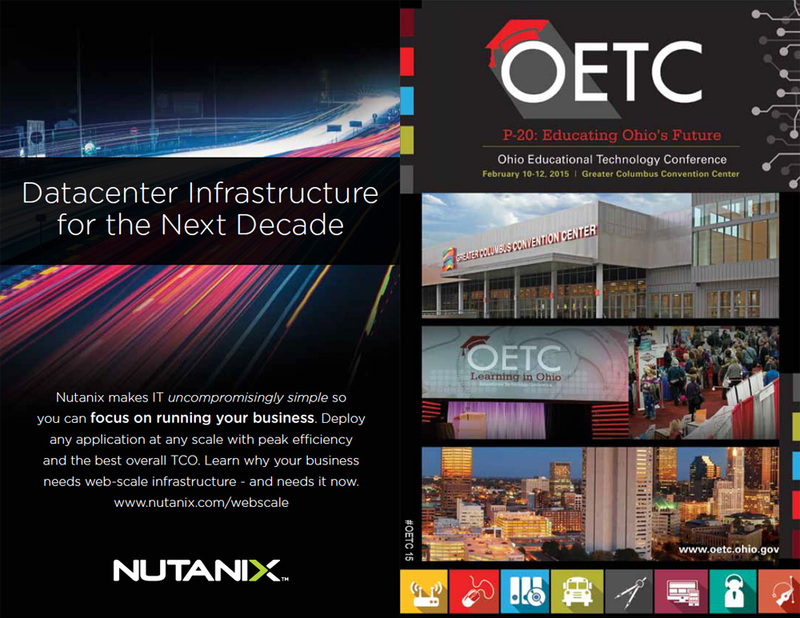 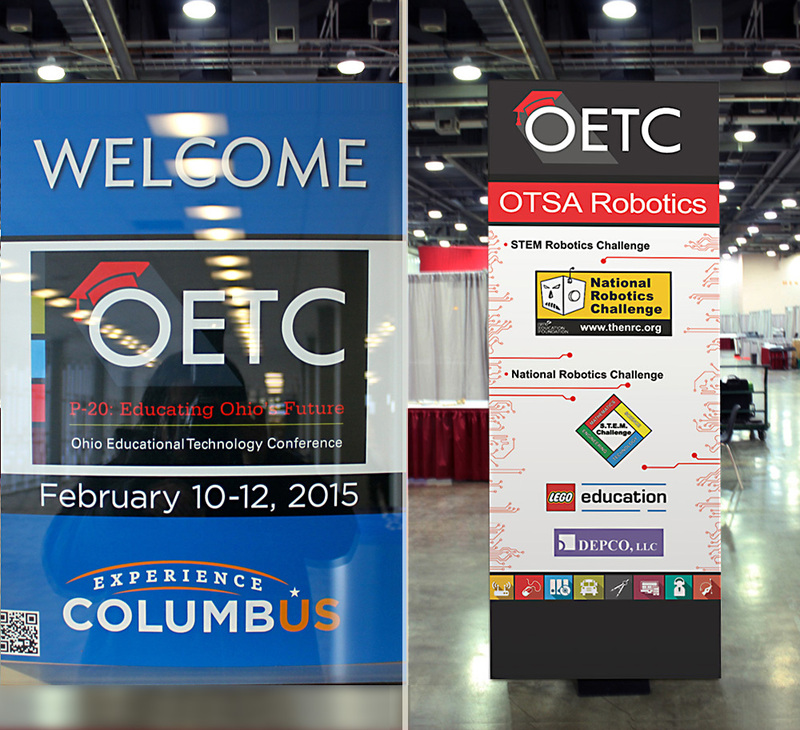 With over 200 exhibitors, showcasing the latest in technology products and services, the OETC trade show is a must-see! 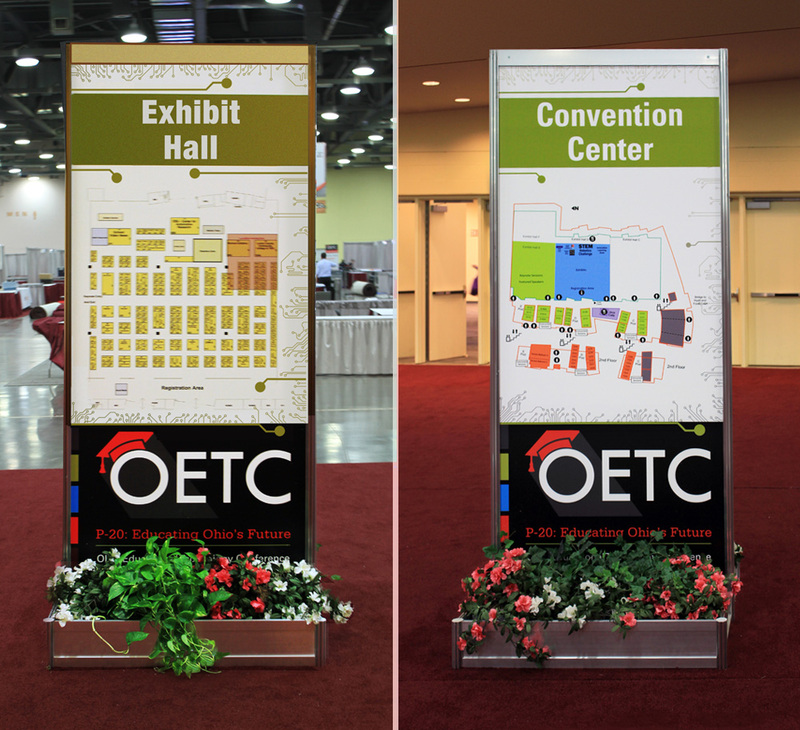 The trade show features product demonstrations, networking, and learning! 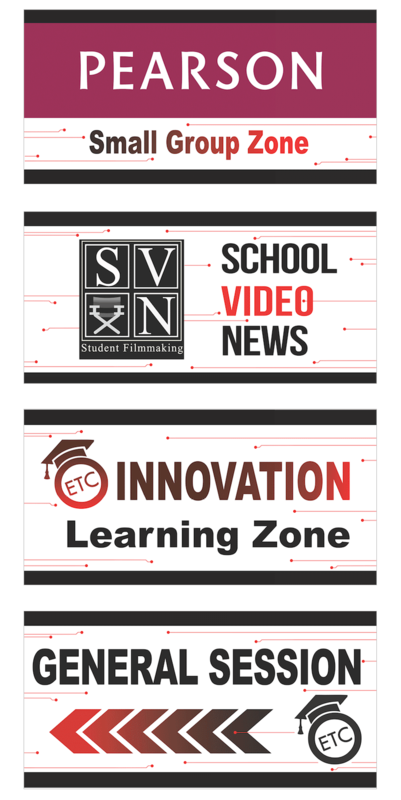 There is a heavy emphasis on social media and back-channeling to strengthen and support the professional learning experience. 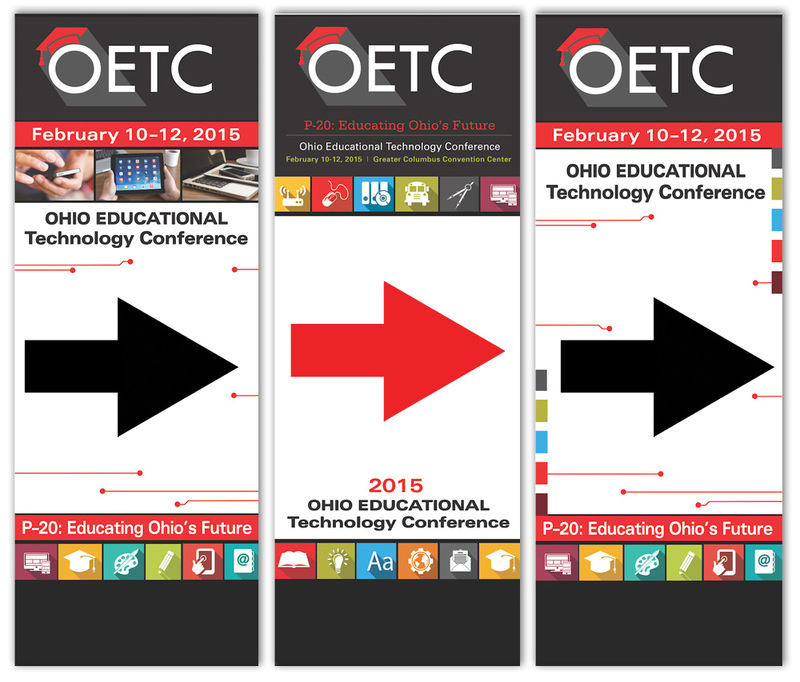 Graphic Design Services and Event Branding in support of the seventeenth annual Ohio Educational Technology Conference, held on February 10-12, 2015, at the Greater Columbus Convention Center, Columbus, Ohio. 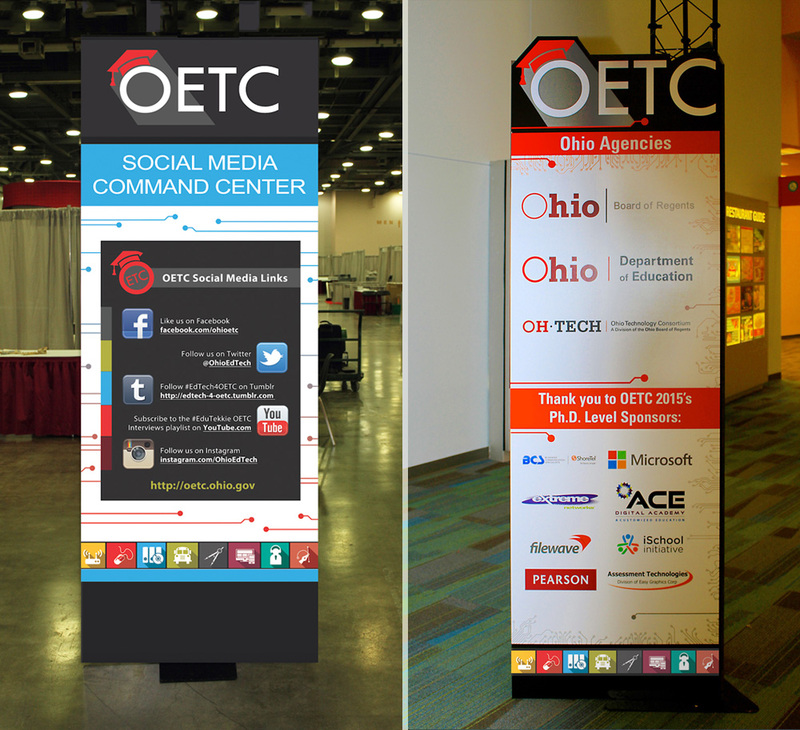 This project was done in conjunction with our business partner, Kram Marketing Solutions, Inc.. 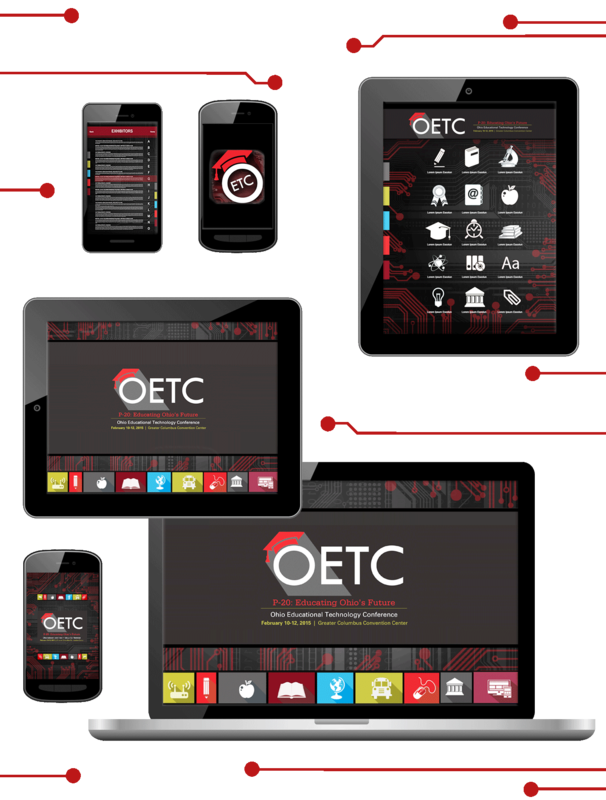 Working from the specifications provided by the mobile app provider, a Mobile App package consisting of various graphic elements for the iPad, iPhone and Anroid was put together. 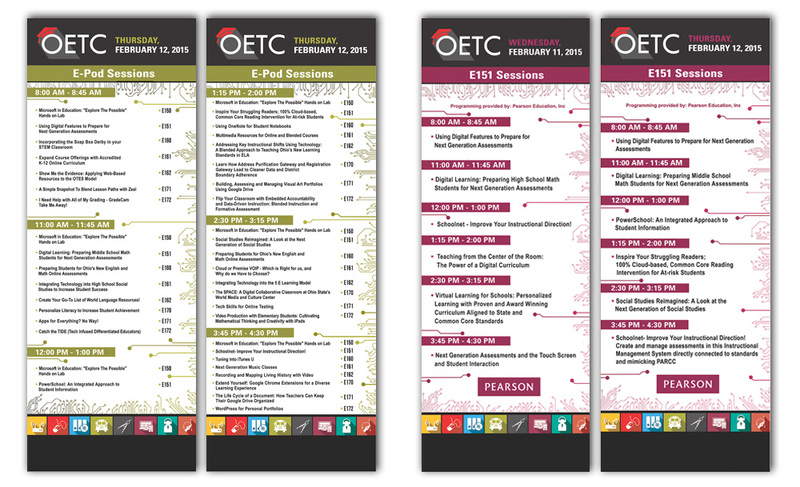 A 120 page Conference Program Guidebook was created. 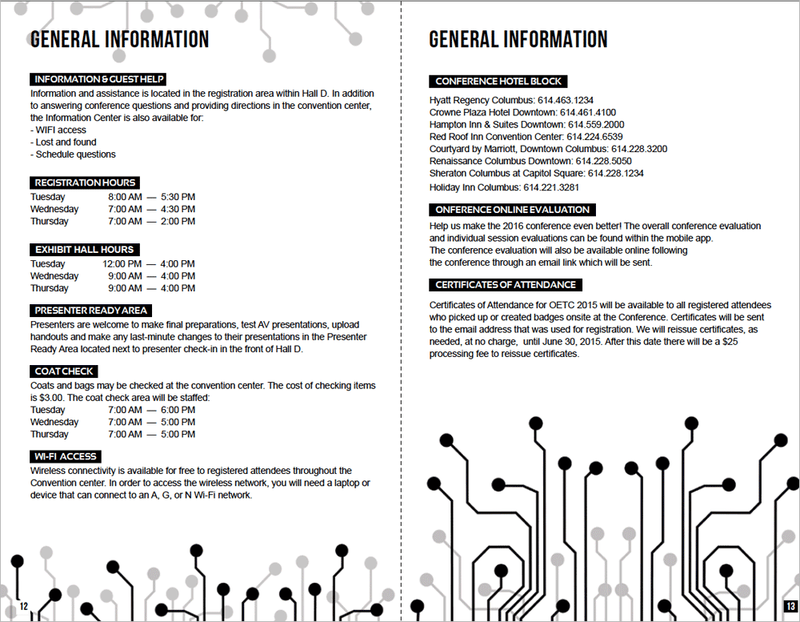 This comprised the design and layout of all of the component parts of the guidebook including, but not limited to: i. Tabbed schedules for each of the 2 days of the conference; ii. 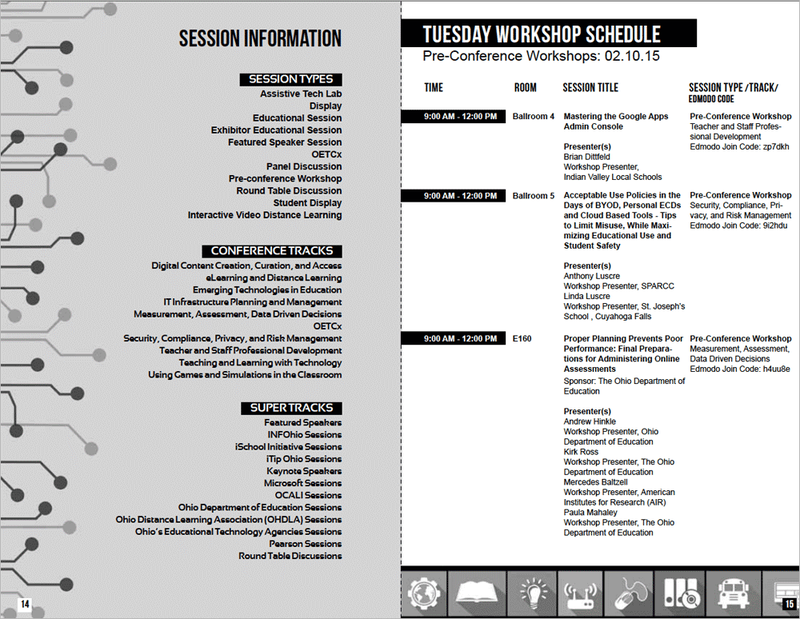 Biographies and photos for each of the featured and keynote speakers; iii. 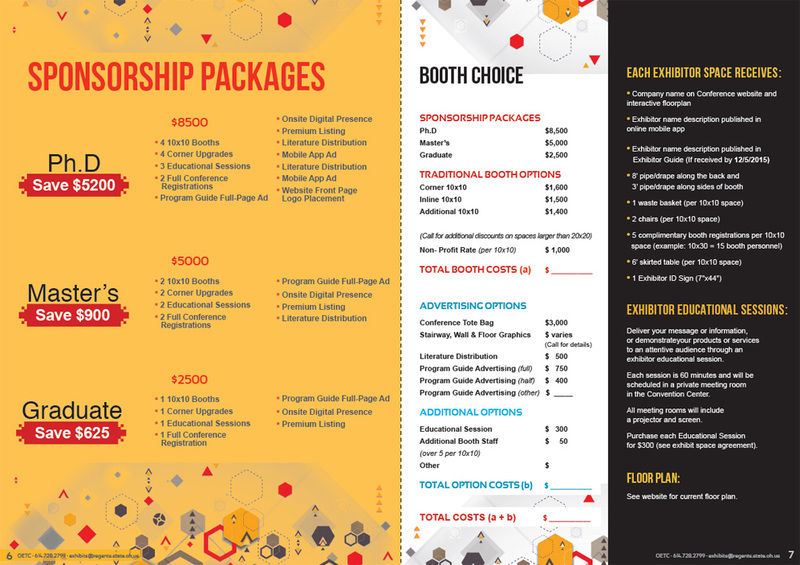 Advertisements of various sizes; iv. 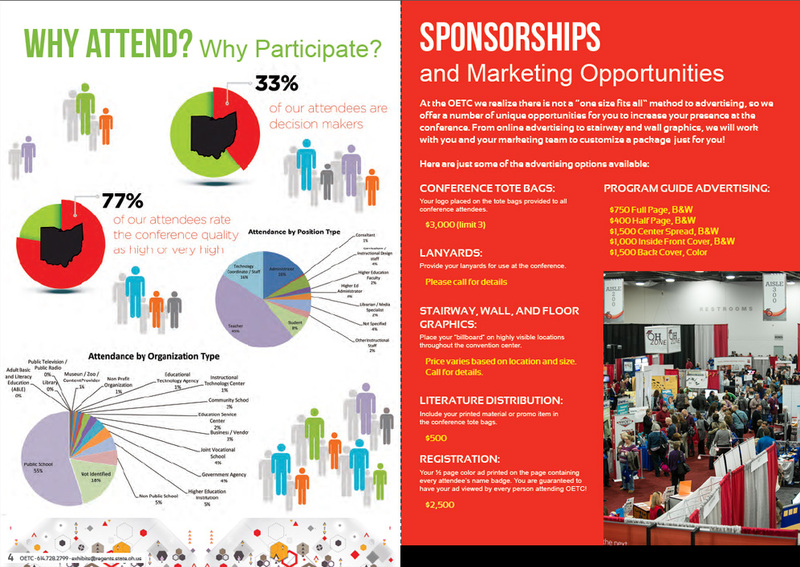 Exhibitor Listings and Descriptions; v. Conference Maps and vi. 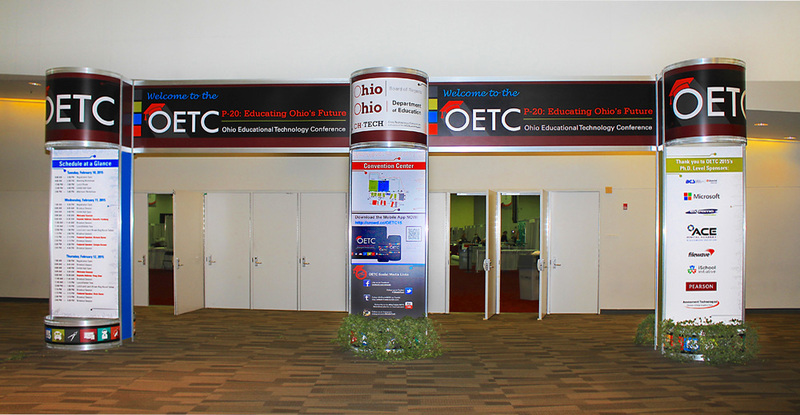 Indexes. 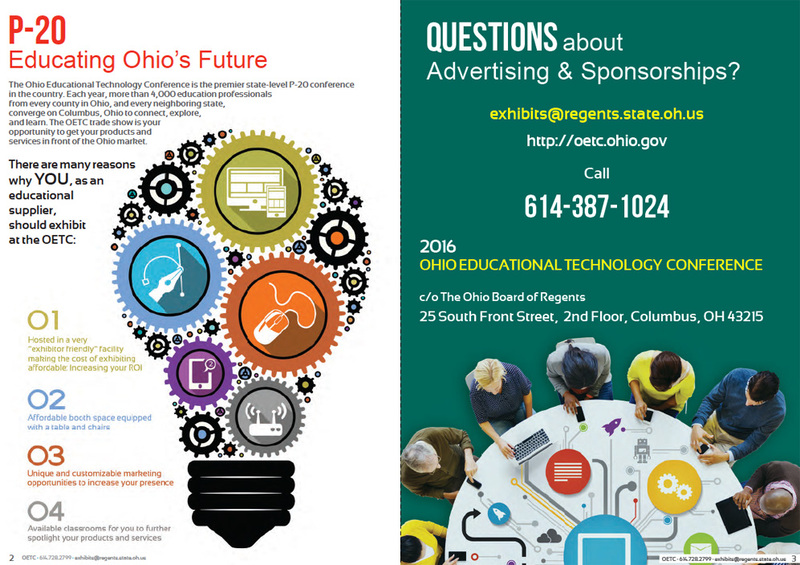 To promote conference vendor interest in exhibiting at the 2016 Educational Technology Conference, an 8.5” x 11,” color, double-sided, 6 page Exhibitor Prospectus was developed. 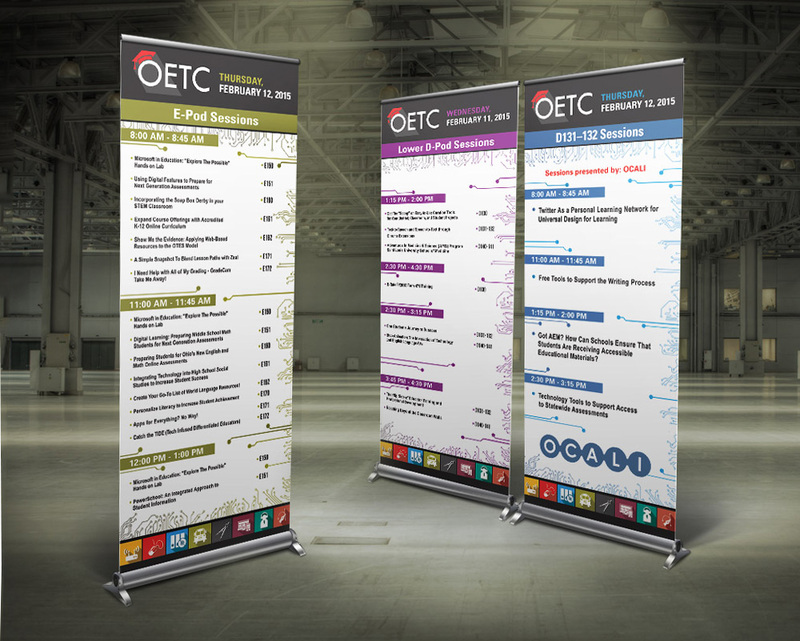 The thematic graphical elements to be used for the 2016 conference were also developed. 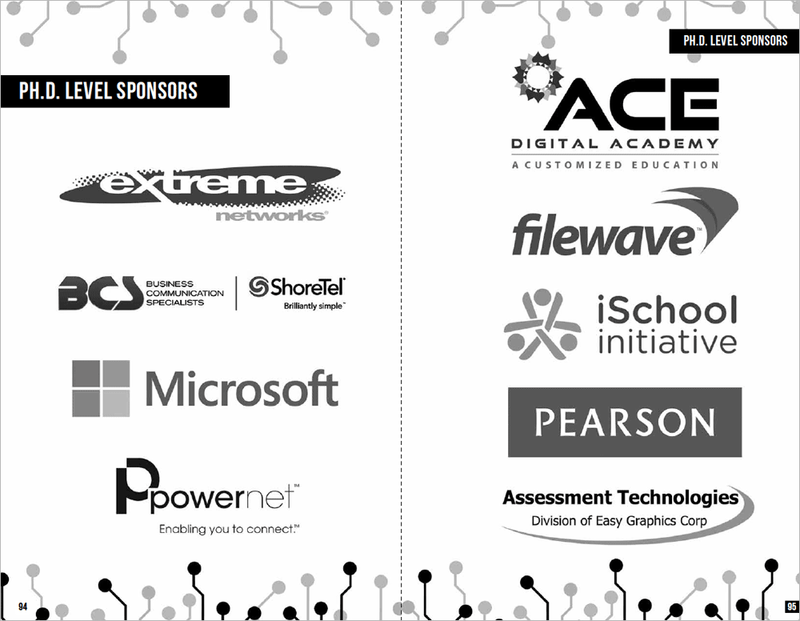 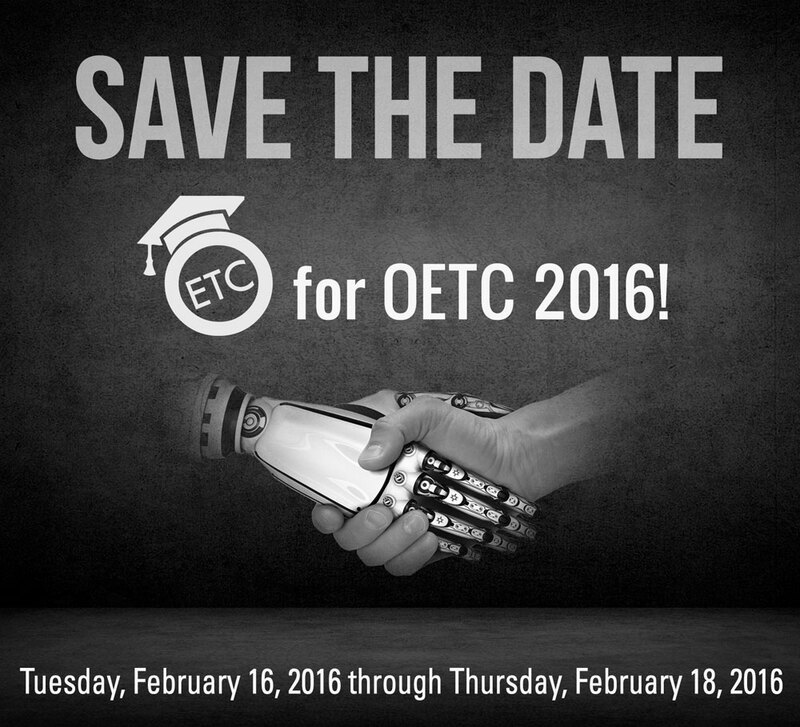 A Save The Date advertisement for the 2016 Educational Technology Conference was produced. 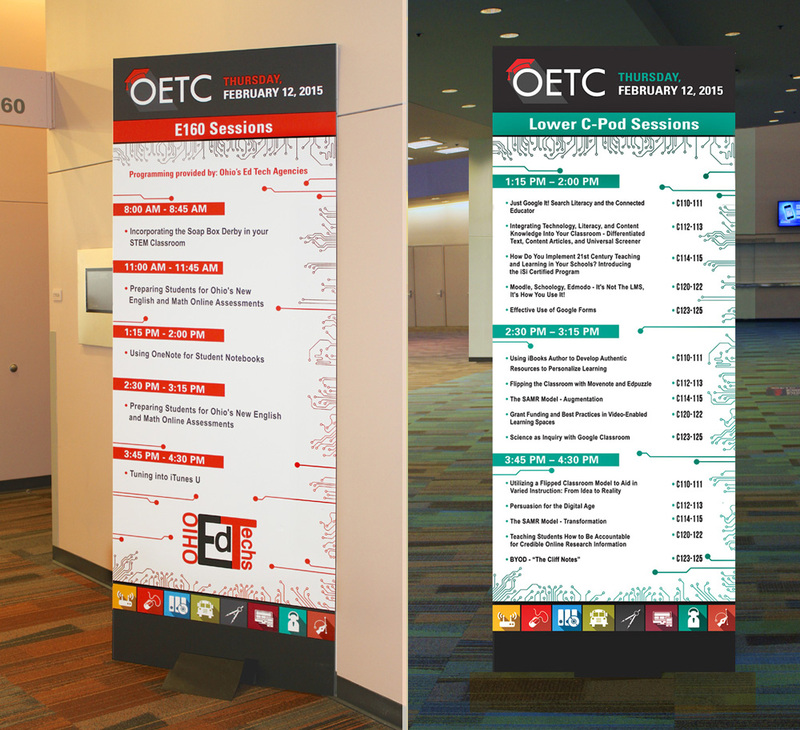 To promote onsite conference activities to attendees of the 2015 Ohio Educational Technology Conference, at the Greater Columbus Conference Center, over 40, Onsite Dimensional Room Signs were created.